A company's brand is how it stands apart in the market. As part of our comprehensive branch transformation offering, Bankers Equipment has partnered with Adrenaline, the industry leader in branding, digital media and content strategy. From video walls and soaring digital towers, to gesture-based and touch-interactive engagement zones, today’s modern consumer expects meaningful in-store digital. 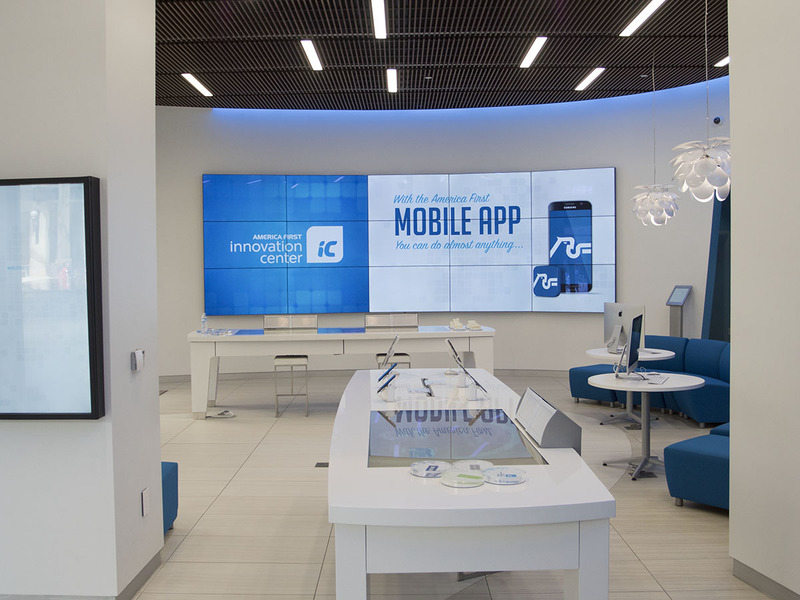 Adrenaline’s strategists and technologists can transform your space with touchscreen interactivity, dynamically served content and robust visual digital signage for in- and out-of-store experiences. Adrenaline’s approach to in-store digital media is comprehensive. Their mission is to provide an end-to-end suite of managed services that ensure their clients’ critical messaging is in the right zone, in the right location, at the right time. From content management software to hardware systems installation; from network monitoring and security to content creation and scheduling; to full-blown innovation labs their digital signage, managed service takes care of everything their clients need so that they can focus on what they do best. Before Adrenaline makes anything – from a single piece of creative to a full environment redesign – their content strategists think through the purpose of each message. Their team delivers complete plans for every step of the customer journey, both online and in-store to compliment in- and out-of-store digital. Whether it’s a new brand, market position, advertising campaign, retail environment or all of the above, Adrenaline shapes your brand to connect in today’s high-speed, short-attention-span world. Smart design is only as good as its implementation. Adrenaline ensures deployments that both satisfy goals and budgets, and also apply a tiered and scalable execution.